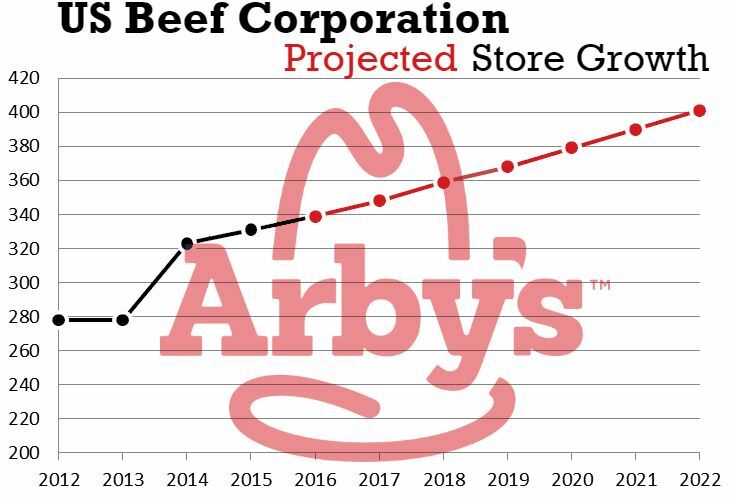 US Beef Corp was one of the first Arby’s franchisees in 1969, and today this family-owned business is the largest franchisee of the meats-marketing monster with plans for growth. With 335 current Arby’s locations (which are included in Chain Store Guide’s Top 20 Restaurant Franchises database featuring franchisee and location linkages for the industry’s top chains and concepts), US Beef Corp plans to grow that number to 400 by 2022 while remodeling 120+ existing locations within the same time frame. More than half of the new locations (40) are lined up for the Colorado and Boise, ID markets US Beef Corp owns. 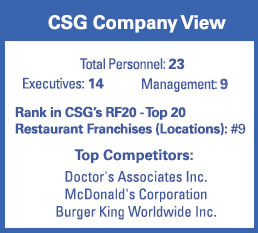 Source: Chain Store Guide’s Database of Chain Restaurant Operators. *CSG projections based on proprietary analysis and company statements. Actual figures are subject to change. This data is not intended for investment decisions.